This ornament is the first in my "beach" series. This is an original ornament designed and painted by me, Cyndimac! I have it listed in my Etsy shop and I will be listing it on ebay soon too. 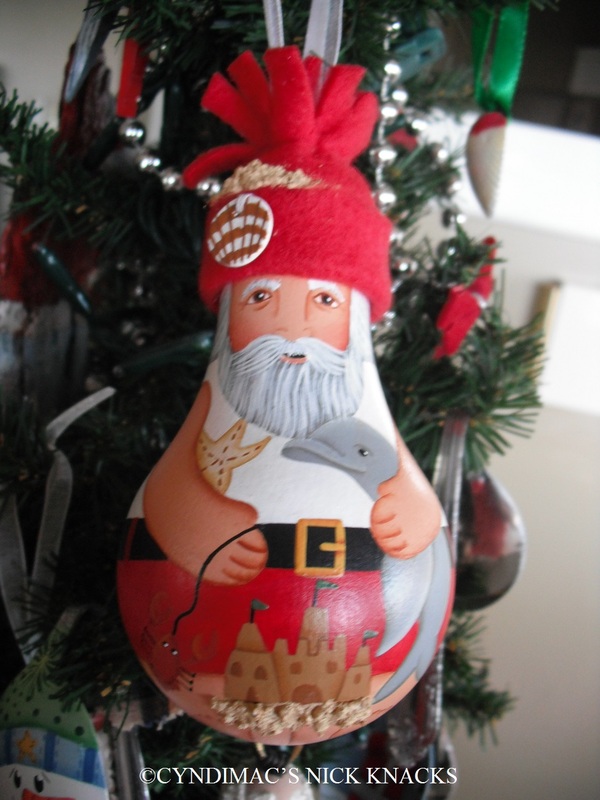 I have several new ideas for more beachy santas...stay tuned! These are my latest bride and groom creations. I have a friend that loves anything with a monkey on it so to honor her 30th anniversary I designed and painted this cute set of a monkey bride and groom. I love a good challenge! She was pretty happy with these. I have another couple that loves frogs so naturally they got a set of a frog bride and groom. Of course, I have the gingerbread bride and groom and I have also painted a snowman bride and groom but don't have them put together yet with their veil and hat but that will be forthcoming. 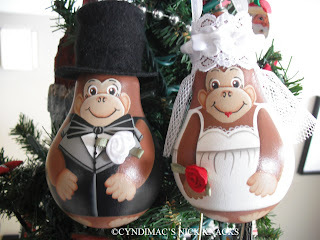 Am thinking about painting a santa groom and a Mrs. santa bride...stay tuned!